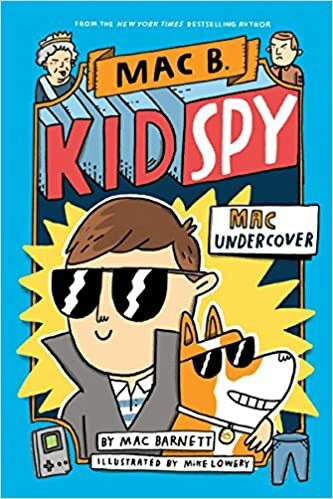 Summary: Mac may just be a kid, but when he gets a call from the Queen of England requesting a favor, he feels he has no choice but to leave his home in Castro Valley, California, and fly to London. When he gets there, he learns that the Queen’s Coronation Spoon has been stolen, most likely by the King of France. Mac then travels to France on a spy mission to try to get it back. After a botched robbery of the Mona Lisa from the Louvre (he’s hoping to do a trade), Mac is taken to see the king, who is able to prove his innocence and point Mac in the direction of a suspicious KGB agent. Mac is finally successful in tracking down not only the spoon, but his missing Game Boy. It turns out this KGB agent has been targeting Mac all along, wanting something that Mac has that is very valuable in the Soviet Union. A trade takes place, and Mac is able to return home, but on the last page he is shown receiving another call from the Queen, setting up the sequel that’s due out in December. 160 pages; grades 2-5. Pros: Lots of laughs in this liberally-illustrated story that takes place during Mac Barnett’s childhood in the 1980’s. Interspersed with the goofiness are facts about the different places he travels to. A perfect choice for those new to chapter books as well as older reluctant readers. Cons: Abraham Lincoln is pictured on the cover of a book about the U.S. Founding Fathers, which doesn’t seem historically accurate.